* This is my article in BusinessWorld last November 25, 2015. Humanity’s material progress and cultural development is made possible largely due to the freedom of people to initiate innovations that did not exist before and their freedom to buy and sell extra output and services produced by themselves and other people. In short, economic freedom and freedom to trade are among the cornerstones of human progress. Remove this freedom and innovation and ingenuity will largely be curtailed and human misery and underdevelopment will result. 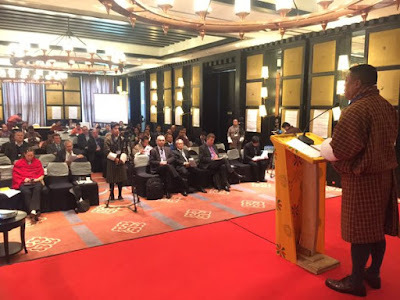 These are other related issues were tackled in the two-day Economic Freedom Network Asia (EFN Asia) Conferences 2015, here at Taj Tashi hotel in Thimpu, capital city of Bhutan. The event’s theme is “Economic freedom as a way to happiness” and the main sponsors are EFN Asia, QED Group, and the Friedrich Naumann Foundation for Freedom (FNF). 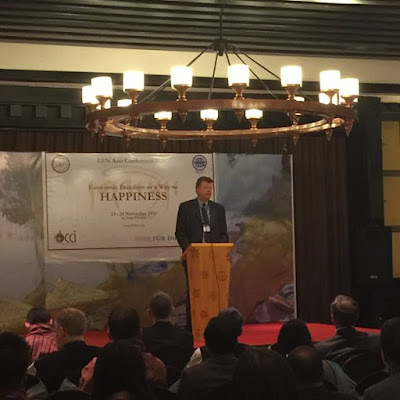 QED is a private, independent think tank and consulting firm based in Thimphu while FNF is a German political foundation tasked to help conduct economic and political education around the globe about the merits of classical liberalism, lean state, and increased market competition. EFN Asia was born in 1998 during a conference in Manila discussing how more economic freedom and less government interventions could have anticipated and minimized the financial turmoil that occurred during the “Asian financial crisis” of 1997-1998. Since then, EFN Asia conferences are held yearly in different big cities in the region. How is economic freedom measured and quantified? Which countries are the most free and least free in economic innovation? 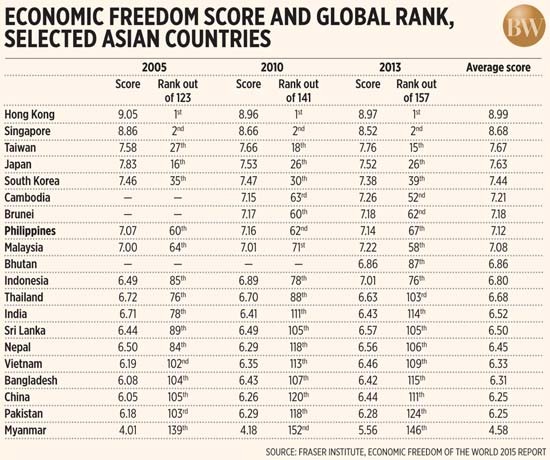 What are the implications of such scoring and ranking in economic freedom of countries and economies? These and related questions are answered by the Economic Freedom of the World (EFW) annual reports, produced by Fraser Institute in Canada, in partnership with FNF (Germany). The EFW is measured by getting the scores (0 to 10, zero is totally unfree and 10 is full economic freedom) of countries covered on five areas: (1) Size of government, (2) Legal system and property rights, (3) Sound money, (4) Freedom to trade internationally, and (5) Regulation. As a result, countries with big governments and high taxes get low scores in area (1); countries with highly corrupt legal systems and unstable property rights protection will get low scores in area (2); countries that have high inflation rates and make it difficult for their citizens to own and use other currencies will get low scores in area (3); countries that have low import tariffs, have few non-tariff barriers will get high scores in area (4); and countries with less restrictions and regulations in credit, hiring of labor and few business permits and compliance costs will get high scores in area (5). For many years now, Hong Kong and Singapore are recognized as the two freest economies in the world. They have small and few taxes, their governments enforce the rule of law, and protect property rights. Since they have low or zero import tariff, it is easy and less costly for their exporters and importers to buy and sell goods abroad, and so on. Taiwan, Japan, and South Korea try to follow these policies set by the two freest economies. The Philippines has been ranking modestly in the 60th to 70th positions in the three years above. It gets high scores in area (1) as it does not have too many transfers and subsidies, have few government enterprises. But the Philippines gets low score in area (2) with scores of only 3 to 4 in sub-areas Judicial independence and impartial courts, other sub-areas. That presents a big challenge for the Philippine government (and other Asian governments too) and civil society organizations -- nongovernment organizations, media, academe, professional organizations, church groups, and so on: Control or minimize corruption and bribery by having rule of law: the law applies equally; no one is exempted and no one can grant an exemption to penalties set by the laws. Bienvenido S. Oplas, Jr. is the head of Minimal Government Thinkers, Inc., and a Fellow of the South East Asia Network for Development (SEANET). Both think tanks are members of EFN Asia. Two weeks ago, I attended the launching of the International Property Rights Index (IPRI) 2015 Report in Kuala Lumpur, then I also gave a short presentation on IPR and the Trans Pacific Partnership (TPP) Agreement. I showed portions of Dr. Ramon Clarete (University of the Philippines School of Economics, UPSE) paper during the UPSE-Ayala forum, Going Regional: Which Mega Trade Deals Should the Philippines Join? last February 2015. He used the Gravity model of trade in estimating the level of bilateral exports or imports between two trading partners. * Independent or explanatory variables, their expected signs or relationships: GDP (+), population (+), dist. between two countries (-), commonality of language (+), shared borders (+), landlocked state (-). 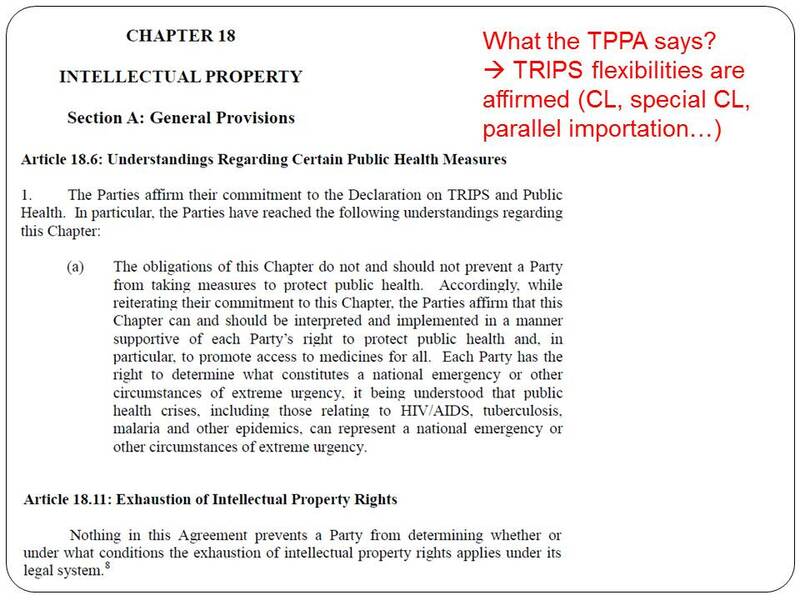 * In addition, TPP and RCEP indicators or dummy variables are introduced: (a) TB1, 1 if both trading countries are TPP or RCEP members, 0 otherwise, (b) TB2, 1 if exporting country is a TPP or RCEP member, 0 otherwise; (c) TB3, 1 if importing country is a TPP or RCEP member, 0 otherwise. 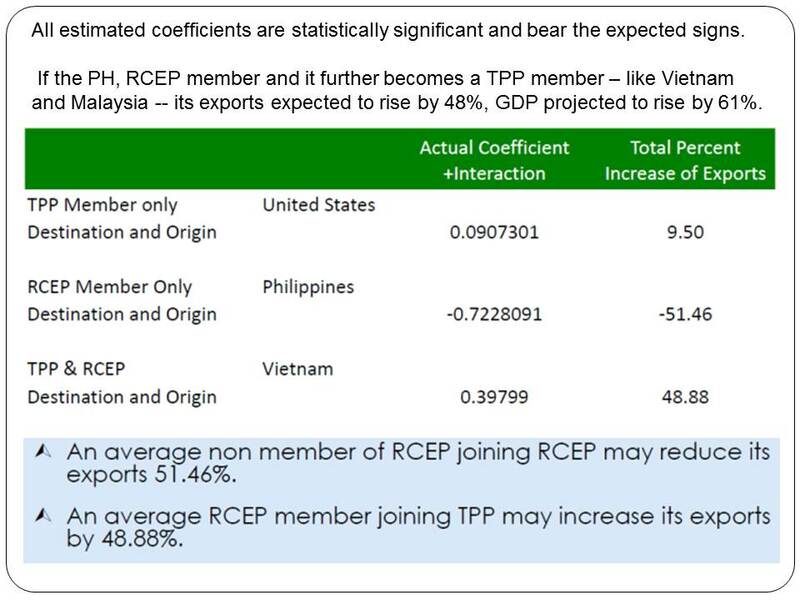 For overlapping memberships, a dummy variable where TPP*RCEP =1 if both trading partners are members of the two trade blocs. And here are some results. Then I briefly discussed my article in BusinessWorld that day, Property rights protection in APEC economies. 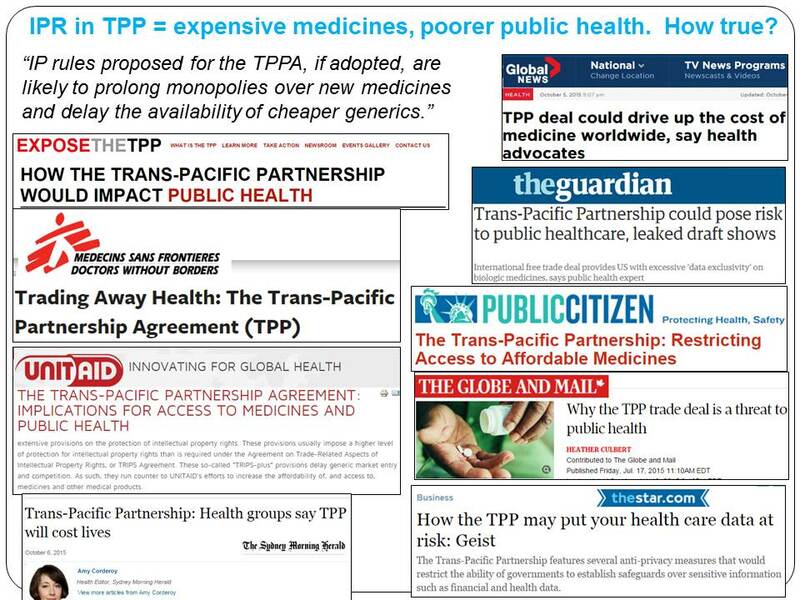 Then I discussed the IPR on medicines aspect of the TPP. Below, from left: Lorenzo Montanari, Exec. Dir. 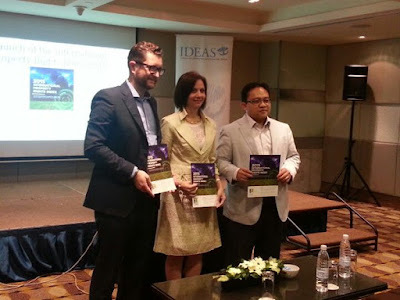 of the Property Rights Alliance (PRA); Dr. Sary Levy, author of IPRI 2015, and Wan Saiful Wan Jan, CEO of IDEAS and Director, SEANET. 1. Joining the TPP has more gains than pains for member-countries, especially in exports and overall GDP expansion. 2. 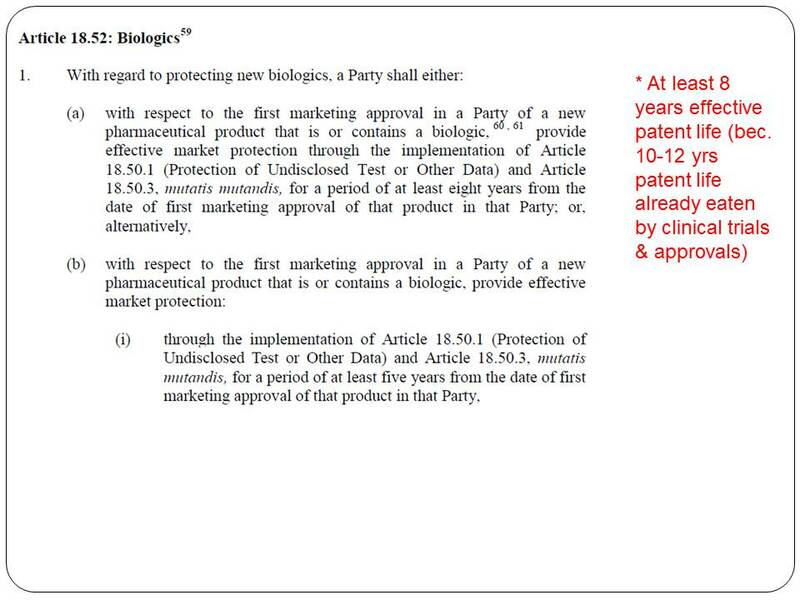 IPR health provisions in TPP are not scary, they do not reduce access to cheaper generic drugs. Existing TRIPS flexibilities are maintained. 3. 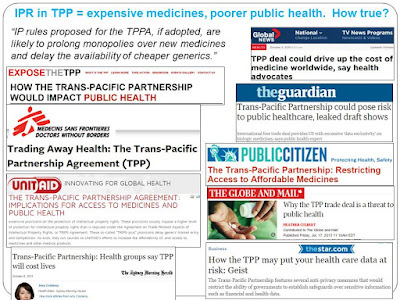 It seems that the generic pharma lobby + the anti-capitalism, anti-globalization NGOs created more noise and fear than what the TPPA actually provides. 4. There is more to fear in government taxation of medicines, in mandatory drug price discounts and price controls, than IPR protection. – Prof. Sinclair Davidson, RMIT Univ. (Econ Dept. ), Melbourne, Australia. The full presentation is posted here. 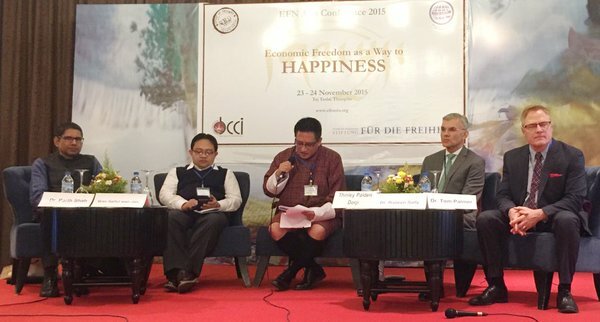 Yesterday, the Economic Freedom Network (EFN) Asia Conference 2015 has ended. Reposting below some of the tweets under #efnasia2015, other tweets. 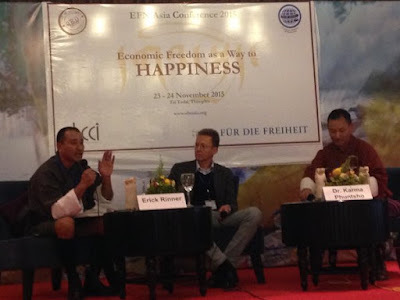 @parthjshah Discussion on Buddhism n econ freedom. And we judge morality of action by outcomes or intentions? 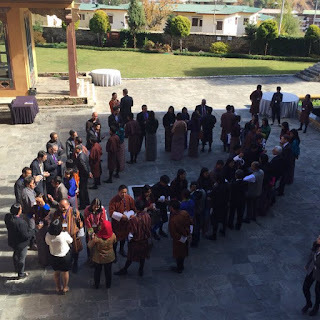 @subodhtweet Speed Dating #efnasia2015. An innovative way to get to know each other in large groups. interesting!! ‏@meinardus Presenting UN data, @FraserInstitute Fred Mac Mahon says: Nations with least economic freedom are also least happy. @IDEASMalaysia @wansaiful sharing Msia's experience on the panel for econ freedom & inclusive development @ #efnasia2015 in Bhutan. All photos above taken from tweets and fb. Thanks for the opportunity to attend this great event, EFN Asia. * This is my article in BusinessWorld last November 19, 2015. There are plenty of papers circulating and arguing that the increased integration of the Philippines into the regional and global economy will result in the rich getting richer and the poor getting poorer. How true is this statement? Has the Philippines’ membership in the Asia-Pacific Economic Cooperation (APEC) improved the lives of its ordinary citizens? Without going through the long and technical procedures in typical academic papers, this paper will check certain data and parameters to see if the above statement is true or not. 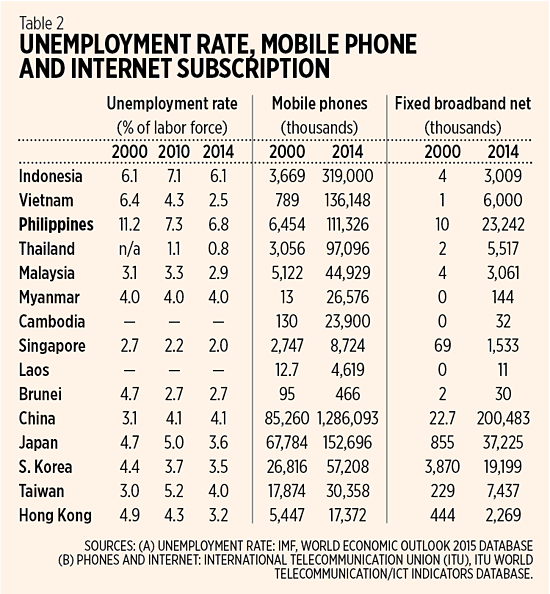 Four sets of data in two tables will be used: (a) infant and toddler mortality rate, (b) life expectancy, (c) unemployment rate, and (d) mobile phones and Web connectivity. From these numbers, the verdict is that the health and safety of Filipinos is improving, not worsening, over the past one and a half decades. 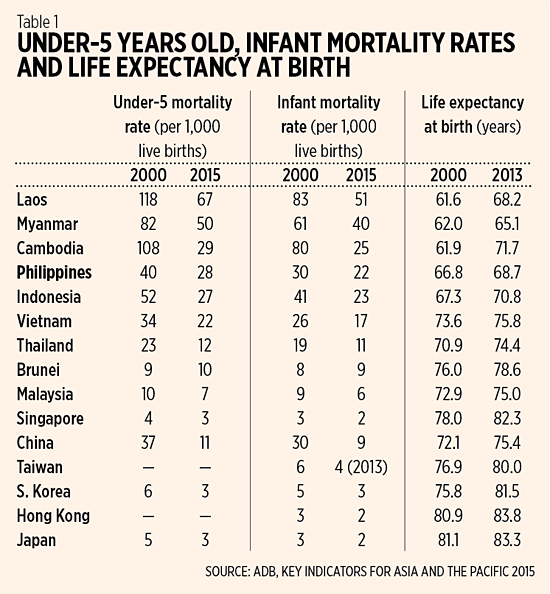 There are fewer deaths among newly-born infants and toddlers; and Filipinos are living longer, meaning there are fewer deaths per age bracket on average. Those are the good news. The bad news is that Philippine records are lower than those of its neighbors in East Asia except in Cambodia, Laos, and Myanmar. And this is where most of the pessimistic and critical comments are coming from: they emphasize the higher ratio of infant and toddler deaths in the Philippines compared to its neighbors and are silent or deliberately hiding the fact the good news mentioned above. If it’s true that unemployment and poverty rates in the Philippines are so high -- people quoting data from IBON Foundation and the Social Weather Stations surveys indicating a 25% joblessness rate -- then people would be so poor as to stop buying mobile phones and forego access to the Web. Is this happening? Again, to the disappointment of the pessimists, the answer is No, on two counts. (1) No, the unemployment rate in the Philippines based on International Labor Organization and internationally-recognized official definitions is not 25% or 20% or 15%, but less than 7%. And (2) No, poverty is not worsening because millions of Filipinos can now afford to buy mobile phones and pay for Internet subscription, things that are far from the usual “basic needs” of humanity which are food, clothing, and shelter. Overall, data for the Philippines and other Southeast Asian and East Asian economies that are members or non-members of APEC point to the fact that the rich are getting richer, and the poor are not getting poorer, but moving into the middle class. Freeing markets on health care, entrepreneurship, telecommunications and many other sectors will allow the poor to have better access to information, from better ways to do rice, chicken and fish farming, to building stronger houses, shops and buildings. 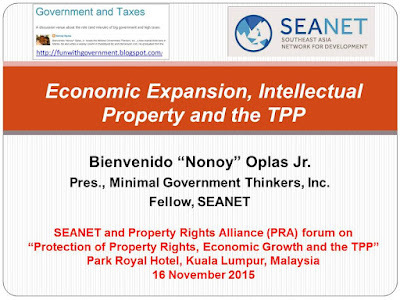 Bienvenido S. Oplas, Jr. is the President of Minimal Government Thinkers, Inc. and a Fellow of the South East Asia Network for Development (SEANET). I was in Kuala Lumpur, Malaysia, last Sunday-Tuesday, for the IPRI 2015 launching + other visits arranged by IDEAS and SEANET. It was my second visit in KL this year, I was there last April for another SEANET event. My 5+pm return MAS flight to Manila (arrival should have been 9:20pm) on Tuesday was cancelled, should be due to additional APEC security measures in Manila. I needed to go back home, so IDEAS got a new ticket for me, KL-SG-Mla via SG Air. Left KL Tuesday at 9:45pm, left SG at 12:20am, Manila by 4:30am. So, I was able to see KL and suburbs at night from the air as I took the window seat. Again, like what I saw in Thailand last month when I arrived Bangkok at midnight (see Thailand's bright nights and nat gas power), Malaysia has a wide, huge area of well-lighted roads, houses and buildings. This photo I got from the web, not from my camera. 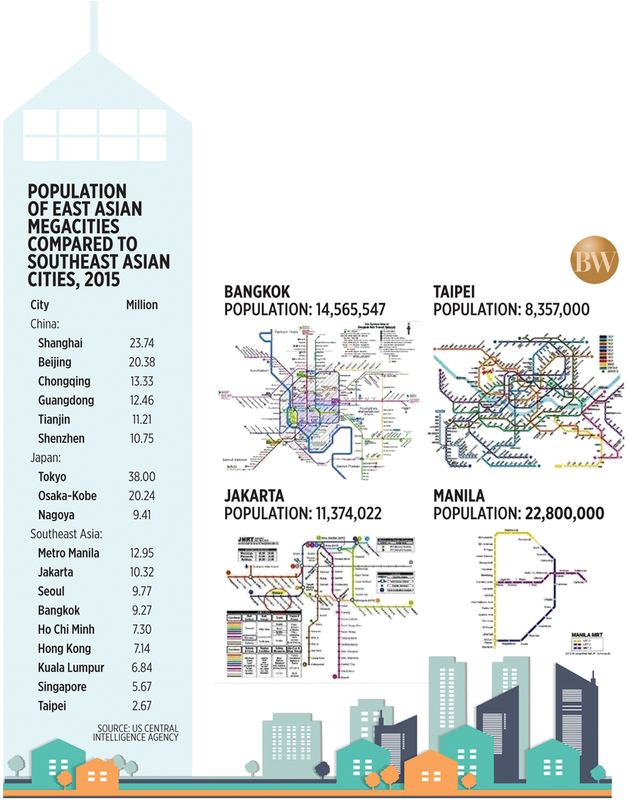 It shows KL center and suburbs. The dark areas are the many urban forest in KL. The bright and well-lighted areas go beyond KL and suburbs. Stretched to other urban centers further down, to Johor and other cities bordering with Singapore. Below, Singapore at night; again, this photo I got from the web, not from my camera. It simply captures the well-lighted city-state, from the shorelines to other sides. I am glad that like Thailand, Malaysia and Singapore do not believe in mandatory switch to unreliable, intermittent wind and solar power made "cheaper" only because of various subsidies. They rely on the old, dependable coal and natural gas, for their electricity needs. Thailand: 20% coal + 70.3% nat gas + 1.5% oil = 91.8% fossil fuel. Malaysia: 41.5% coal + 46.6% nat gas + 4.5% oil = 92.6% fossil fuel. Singapore: 84.3% nat gas + 13% oil = 95.3% fossil fuel. Indonesia: 48.7% coal + 23.2% nat gas + 16.7% oil = 88.6% fossil fuel. Vietnam: 17.9% coal + 35.8% nat gas + 2.7% oil = 56.4% fossil fuel. Philippines: 38.8% coal + 26.9% nat gas + 5.8% oil = 71.5% fossil fuel. Hong Kong: 70.3% coal + 27.3% nat gas + 2.1% oil = 99.7% fossil fuel. S. Korea: 44.8% coal + 20.9% nat gas + 4.0% oil = 69.7% fossil fuel. China: 75.8% coal + 1.8% nat gas and oil = 77.6% fossil fuel. So when people say they dislike or hate fossil fuels yet also dislike or hate frequent brownouts and expensive electricity, they proudly and openly exhibit their hypocrisy and double talk. In one fb thread of a friend, he commented that during the APEC meetings, US President Obama posed climate change (CC) as a challenge that government and business leaders must take action. I commented that the main reason why we have electricity in M.Manila for the APEC and similar events, the reason why many people can do fb and attack "man-made" CC, is because of those power plants that run on fossil fuels. Frequent brownouts and candles are NOT nice to "save the planet." Watch more fires because of more candles. Watch more crimes and road accidents because of dark streets. There are many people who advocate or support the "anti-fossil fuel movement." We can assume that they have no car or motorcycle, that they do not take a jeepney or taxi or bus, does not ride an airplane -- ALL of these run on fossil fuel. The anti-fossil fuel movement is notorious for hypocrisy and double talk. The Paris meeting in less than two weeks will have thousands of petroleum-bashing planet saviours who reach Paris via fossil fuel-fed planes and cars. CC is natural, it is nature-made, not man-made. It is cyclical, warming-cooling-warming-cooling, endless cycle, not "unprecedented". CC is true, it happened in the past even if humans did not even ride a bicycle or invented shoes. It is happening now, and it will happen in the future. As I told my friend in the past, climate alarmis, ss("it is man-made, period!") will never be interested in dialogues or even debates. The big ones and leaders are interested only in climate money, something like $100B a year, or $500B a year, or $5 trillion a year, take your pick. The non-big ones are interested only in spreading alarmism. The Pope, ahh, when he came to Manila, his plane was using water, or it was being towed by hundreds of witches on flying brooms or carpets. 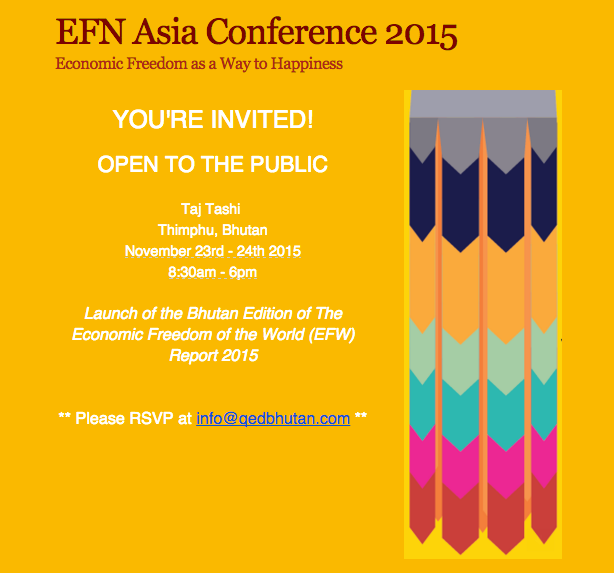 The two-days Economic Freedom Network (EFN) Asia conference 2015 in Bhutan is just 3 days away. Among the important activities on Day 1 is the dynamic discussion on Economic Freedom and Happiness: Five Fishbowls. The term "fishbowl" is taken from the seating arrangement of participants: listeners form a circle in the centre of which sit the discussants. Each fishbowl will have six persons at the centre: 1 expert, 1 moderator, 1 rapporteur, and 3 “open” resource persons. The listeners form a circle. The first 3 persons never leave their positions while the 3 open resource persons can, they can be replaced by some listeners who want to speak, upon the permission of the moderator for orderly allocation of time and discussions in case there are debates. I have not attended this type of discussion before, it looks challenging and exciting. 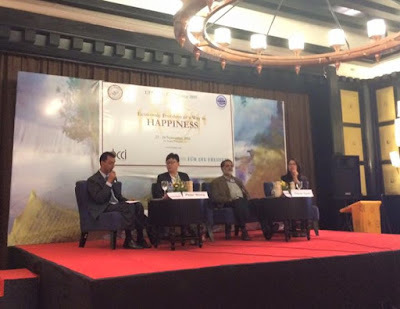 Rapporteur: Akash Shrestha, Senior Research Office, Samriddhi, The Prosperity Foundation, Nepal. 1st row: Muntasir Mamun Iqbal, Muntasir Mamun Iqbal, me. 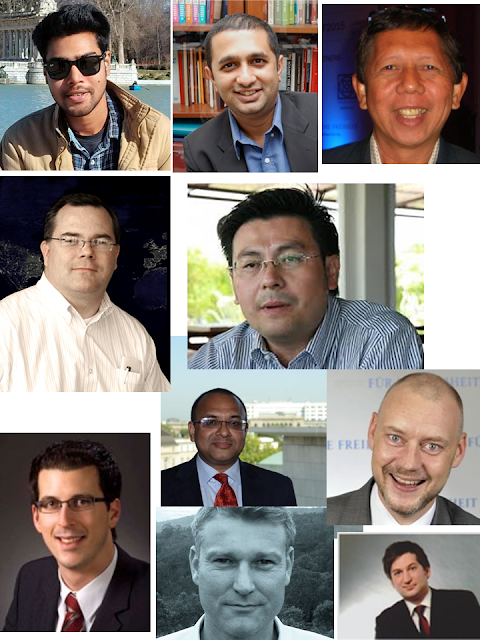 2nd row: Eric, Gartzke, Suwanchai Lohawatanakul. 3rd row: Ruben Dieckhoff, Subodh Kumar Agarwal, Olaf Kellerhoff. 4th row: Moritz Klein-Brockhoff, Armin Reinartz. Excited to see Bhutan, and experience the fishbowl discussion. Both for the first time. * This is my column in BusinessWorld last Monday, November 16, 2015. KUALA LUMPUR -- The protection of property rights and promulgation of the rule of law are the cornerstones of peace and order in society. When such property rights are removed and unprotected, society can quickly degenerate into chaos and disorder. For instance, your house or car is also somebody else’s house and car, and he/she can take and occupy it anytime, anywhere. Measuring property rights protection across many countries has been done by the Property Rights Alliance (PRA), a network of 74 independent, nongovernment, and market-oriented think tanks from 57 countries around the world and is based in Washington, D.C.
PRA produces the International Property Rights Index (IPRI) annual reports, which is a measurement of how governments in the countries covered promulgate the rule of law and protect property rights, public and private, physical and non-physical or intellectual. 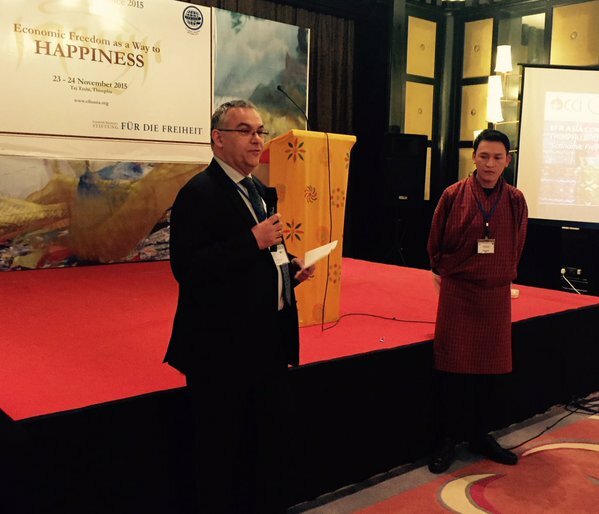 The IPRI 2015 Report is launched today here at Park Royal Hotel in the capital city of Malaysia. 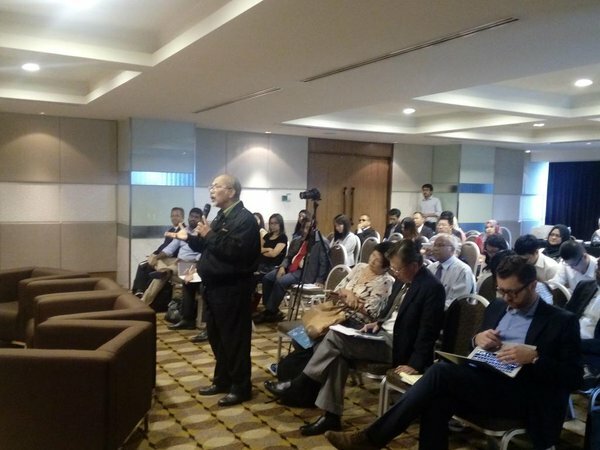 The event is jointly sponsored by the PRA and the South East Asia Network for Development, which is a regional project of the Institute for Democracy and Economic Affairs in Malaysia. The event’s theme is “Protection of Property Rights, Economic Growth, and the TPP.” The Trans-Pacific Partnership (TPP) is included in the theme because of its recent approval by the original 12 member-countries including Malaysia. 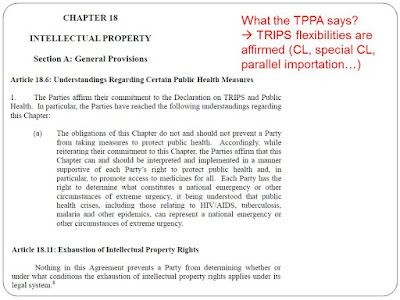 TPP of course will not be implemented unless each member-country ratifies the agreement. 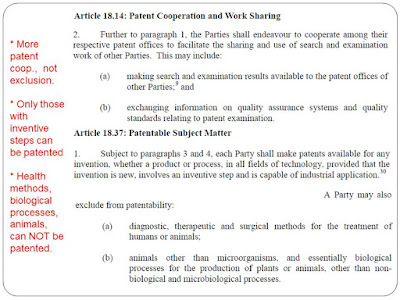 3 Intellectual Property Rights (IPR), which includes protection of IPRs, in particular patents and copyrights. As a result, countries with high scores in two or all three of these areas will have a high IPRI score and global rank. In the 2015 Report, the top 10 from 1st to 10th places are: Finland, Norway, New Zealand, Luxembourg, Singapore, Switzerland, Sweden, Japan, Canada, and Netherlands. 1 Philippines: Between 2010 and 2014, the Philippines IPRI score increased by +2.9%. In 2014 IPRI increased by +0.2 due to slight increases in all components. LP increased by +0.2 points due to all four of its items increasing in 2014. In particular, item Political Stability improved by +22.7% between 2013 and 2014. 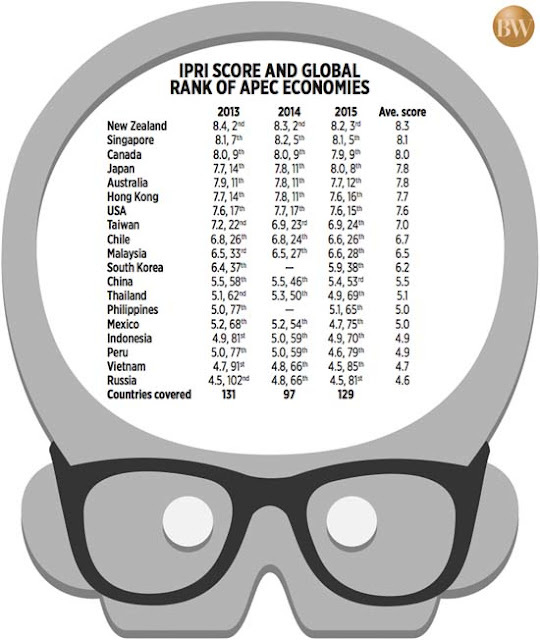 2 South Korea: Over the 2010-2014 period of analysis, the South Korea IPRI score fluctuated around the value of 6.3. 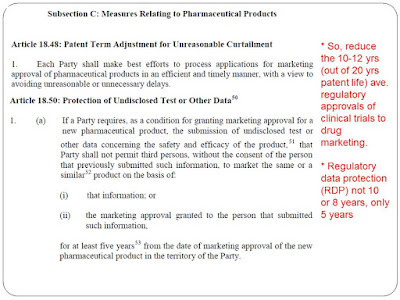 PPR data is missing from the analysis completely and IPR is missing for 2010 and 2011... 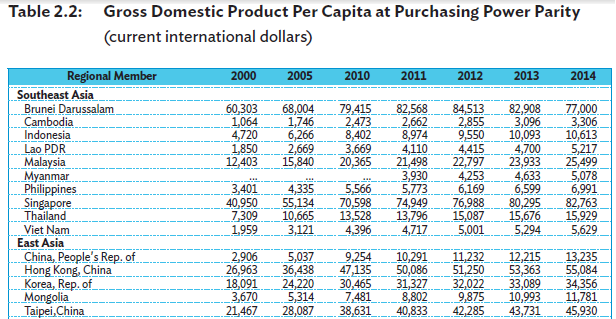 In general, the overall IPRI value for South Korea is good and stable. The Philippines’ jump in global rank from 77th in 2013 to 65th in 2015 is somehow impressive despite the flat score of 5.1 and 5.0, respectively. The reason for the big jump is because many countries have suffered significant decline in their scores from 2014 to 2015. Within the Association of Southeast Asian Nations-6 that are also APEC members and covered in this annual report, there is a mixture of results over the years. The bad news is that (a) the gap in overall score between high-ranked Singapore and low-ranked Vietnam was very wide, with the average score of the former almost twice that of the latter; (b) Thailand and Vietnam suffered significant declines in scores and global rank, both falling by at least 19 notches in ranking from 2014 to 2015; and (c) Indonesia global rank also fell significantly from 59th in 2014 to 70th in 2015. The good news is that Singapore and Malaysia have managed to retain their high scores and global ranking. The results of this annual study should prod the governments of the Philippines and other East Asian economies to remember the main function, the raison d’être or reason for existence, of governments: to enforce the rule of law, the protection of the citizens’ right to life (against aggressors), right to private property (against thieves and destroyers of properties), and right to liberty (against bullies and despots). There is a positive relationship between economic development and economic freedom, and the strength of property rights protection. Civil society leaders should keep reminding governments of this reality, and dissuade the latter from enacting and implementing various programs that directly or indirectly erode the respect of private property. Bienvenido S. Oplas, Jr. is the President of Minimal Government Thinkers, Inc., which is one of the 74 think tank-members of PRA. He is also a SEANET Fellow. IBON Foundation maintains its sensational and not-so-deep research, nice on graphics but shallow on comparative numbers. I am referring to these 3 infographics they produced and sent to local media. A friend sent this to me to get my reaction, I said that I will blog my comments. On point #1, decline in Agri/GDP ratio means more agri jobs lost. Weird. Even socialist Vietnam and China, more developed Thailand and Malaysia, have shrinking share of Agri/GDP ratio. It's the natural progression of societies. Overall productivity across countries keeps rising, thanks to scientific innovation and market competition. We will need less rural labor, other inputs, to feed an ever-rising population. The same point re decline in manufacturing/GDP ratio, leading to more manufacturing jobs lost. Decline in ratio is not automatically bad as other sub-sectors in the industry sector, services sector, have absorbed excess labor from manufacturing as the latter uses more machines and robots. On point #3, the number of poor people have increased. Well, the definition of "poor" is evolving. Until a few years ago, it was earning $1/day/person or less, now it's around $1.5/day/person. Before, the poor were riding cows or horses, now they ride motorcycles or buy 2nd/3rd-hand cars or jeeps. Before, the poor were using smoke signals to send a message, now they have fb and twitter on their cheap smart phones. Source of 2 tables: ADB, Key Indicators for Asia and the Pacific 2015. * This is my article in BusinessWorld yesterday, November 13. Expensive electricity and unstable power supply are two big concerns for many sectors and businesses in the Philippines. These problems have adverse economic and social impact for the people. Electricity-intensive sectors like hotels, malls and manufacturing are forced to raise the prices of their products and services. Many local government units cut on the use of street lights. When many streets are dark at night, there are more crimes and road accidents that happen, and it is the poor who are likely to be victimized. It is them who walk on dark streets, where thieves, rapists, and murderers hide. 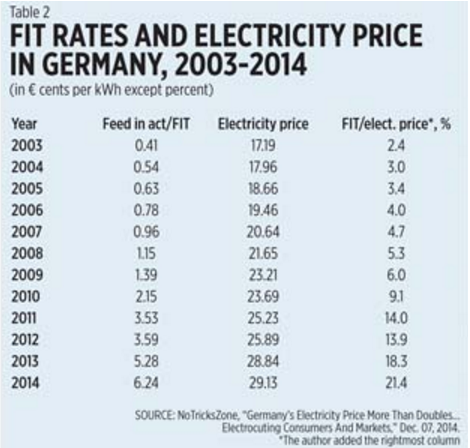 Policies and measures therefore, that further raise our already expensive electricity should be avoided. Unfortunately, the reverse is happening, as certain business sectors and the Department of Energy (DoE) expand those policies that contribute to more expensive electricity. Like the feed-in tariff (FIT) under the Renewable Energy Act of 2008 (Republic Act No. 9513; RA). Of the four new renewables (the “old renewables” are geothermal and big hydro), solar is the most problematic. From the original 50-megawatt (MW) allocation, it was raised by former DoE Secretary Carlos Petilla to 500 MW, in exchange for lower FIT for the next 450 MW. Then the Philippine Solar Power Alliance, the main solar lobbying group, sent a letter to the DoE last June asking to expand the solar FIT allocation from an already expanded 500 MW to 2,000 MW -- a 1,500-MW hike in the allocation. This will make expensive electricity a bigger problem in the future. The FIT allowance has been collected since February at P0.0406/kWh. There are projections that this will rise to P0.13/kWh or more by 2016. FIT has gone up and continues to go up in Germany, Denmark, Spain, United Kingdom, and other European countries. From a negligible 2.4% of total electricity price in 2003 up to 21.4% in 2014, the FIT is now a major cost contributor to expensive electricity in Germany which is now second highest in Europe, trailing Denmark. This means that even if cheaper power from say Quezon coal or Sual coal, Magat or Pantabangan hydro, Sta. Rita or Ilijan natural gas are available especially during non-peak hours, but wind power from Ilocos are available, Meralco and the various provincial electric cooperatives in Luzon grid are forced to buy from the expensive wind power plants. Aside from FIT and RPS, RA 9513 gives many other subsidies or relaxation of regulations and taxation to the renewable producers, privileges that are denied to producers of conventional but cheaper power sources. These privileges include: (a) Income tax holiday for seven years; (b) duty-free importation of RE machinery, equipment and materials within the first 10 years; (c) special realty tax rates; (d) net operating loss carry over to be carried for the next seven years; (e) 10% corporate tax rate (not 30%); (f) tax exemption of carbon credits; and (g) tax credit on domestic capital equipment and services. This writer is not against renewable sources per se. They are fine, along with geothermal, big hydro, coal and natural gas. What is objectionable is the cronyism and favoritism granted to the renewables which results in ever rising electricity prices in the country. The case of Germany is already a guide for us. 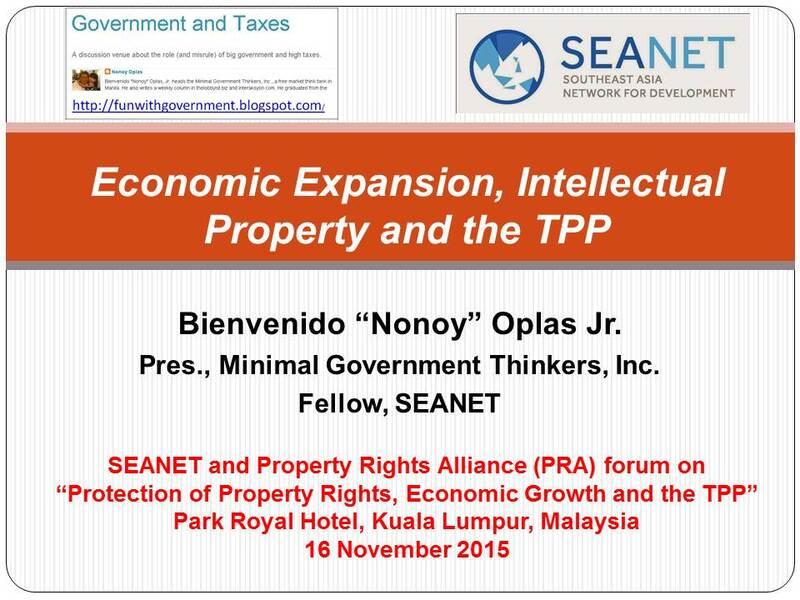 Bienvenido S. Oplas, Jr. heads the free market think tank, Minimal Government Thinkers, Inc., and a Fellow of the South East Asia Network for Development (SEANET). 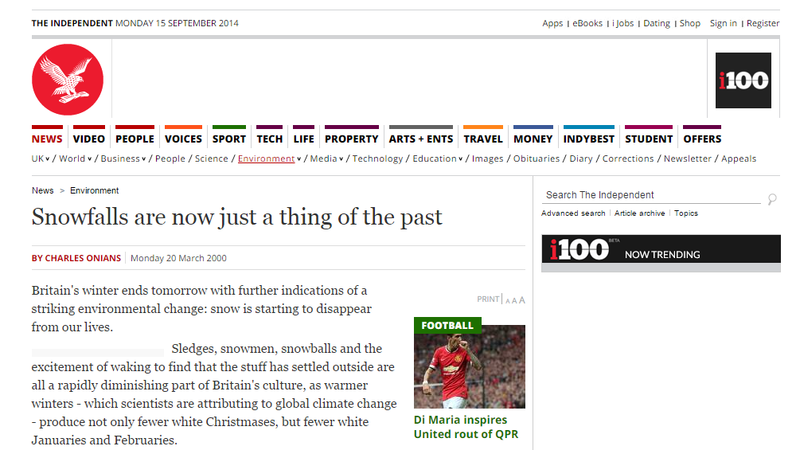 On March 20, 2000 (15+ years ago), The Independent ran a story predicting that "within a few years winter snowfall will become 'a very rare and exciting event.'" No more ice because of deteriorating "man-made" global warming. Very funny headline. That story became "viral", circulated thousands of times as people panicked from that statement from a scientist at the Univ. of East Anglia. Now that story is gone. The newspaper is ashamed it ran that story? Here's from WUWT, One of the longest running climate prediction blundershas disappeared from the Internet, November 13, 2015. Meanwhile, enjoy these scary stories. Paris 2015 is just 2-3 weeks away. 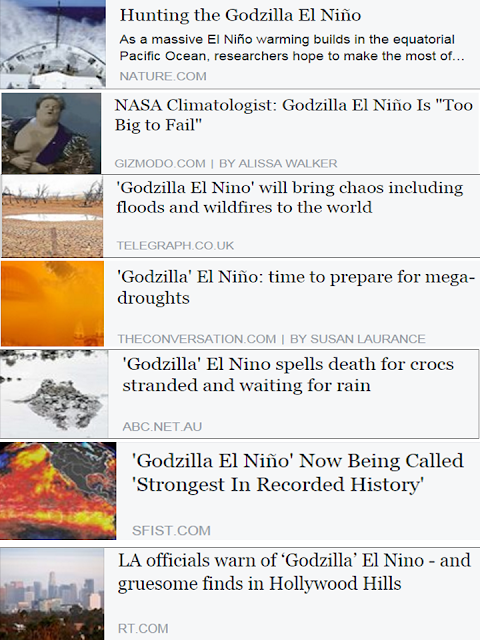 A Godzilla, monster El Nino, really? This year's El nino is indeed big, but the 1997-98 El Nino and 1982-83 El Nino were also big, could be stronger than this one, but they were not called "Godzilla" EN. And here are the numbers that correspond to those up-down points in the above chart. I only chose the 3 El Nino periods, 1982-83, 1997-98, and 2015. Warm (red) and cold (blue) periods based on a threshold of +/- 0.5 C for the Oceanic Niño Index (ONI) [3 month running mean of ERSST.v4 SST anomalies in the Niño 3.4 region (5oN-5oS, 120o-170oW)], based on centered 30-year base periods updated every 5 years. Nope, this is not a "Godzilla" EN or "Strongest EN in recorded history." Above are the chart and numbers of recent recorded history. We are not talking yet about past EN 100 or 1,000 years ago or longer. As Paris 2015 UN climate alarmism and junkets meeting come closer, we expect more "scary, worrying, very worrying" stories and news reports. They have only one goal -- more government, more UN role, more ecological central planning. And these are the basis of continued "expensive electricity to save the planet" policies. * This is my article in BusinessWorld last November 11, 2015. Expansion of existing urban centers and urbanization of rural areas is the norm and natural path of many cities and areas in the planet. Congestion is the natural result as people try to squeeze themselves in a limited space where various amenities and work and business opportunities are available; things that they cannot easily find in rural areas. Traffic congestion is among the most prominent problems of many big cities, like those with population of 5 million or more people. In Metro Manila and other big Philippine cities like Cebu, Iloilo and Davao, the growth in number of vehicles is much faster than the growth of new roads and highways being constructed. This subject was discussed in a round table discussion organized by the Albert del Rosario Institute (ADRi) on “Greater Manila Transport Infrastructure Solutions: Thinking Beyond EDSA” last Oct. 28, at the Tower Club in Makati City. After the opening message by ADRi President Victor Dindo Manhit, Mr. Eduardo Yap of the Management Association of the Philippines gave a good presentation that compared the Metro Rail Transit (MRT)/Light Rail Transit (LRT) system in Metro Manila to the train systems in Bangkok, Jakarta, and Taipei. British physicist and mathematician, Sir Isaac Newton (1642-1727) was known for his contributions in classical mechanics and physics. His famous theory is the so-called “Newton’s Laws of Motion.” Upon closer examination, it seems that the laws of motion in physics can also apply in society and economics. Application: Bureaucracy in command and control state will remain in that state unless huge public pressure is applied on it. 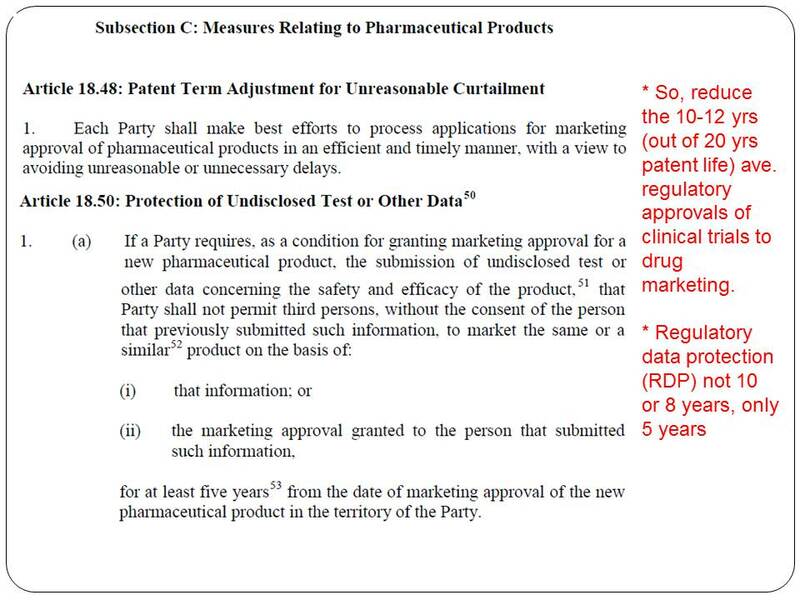 There is a culture in the bureaucracy where the officials declare, “No one moves, no one builds anything, unless they get our signatures and permits first.” A state of inertia and inaction should be sustained unless players and stakeholders first get the signatures of officials and regulators. And that explains how unsolicited proposals to build various MRT lines, skyways, and new tollways via build-operate-transfer (no cost to the government) two to three decades ago never got off the ground. Application: The acceleration of regulatory prohibition is directly proportional to central planning philosophy and inversely proportional to its intellectual mass. The Metropolitan Manila Development Authority (MMDA) policy is to keep blaming private players -- the car owners, bus and van operators and drivers, even passengers. Thus, policies like cars number-coding prohibitions and similar rules covering some provincial buses and vans restrict the capacity and mobility of high occupancy vehicles unless they secure a legal franchise which, by itself, is very costly and time-consuming to get. People have to endure three or four rides one way (tricycle then jeep/bus, then MRT/LRT, then jeep or tricycle to final destination), and so many are forced to drive their cars, which exacerbate the traffic congestion. Application: For every government intervention, there is an equal opposite distortion. When government prohibits people to drive their own cars on certain day of the week, many people buy a second or third car, especially if their village is far from the main road. And this exacerbates traffic congestion. When government prohibits certain provincial buses to enter key areas in Metro Manila, many of these car-owning probinsyanos take their cars or motorcycles to Metro Manila, and this again worsens traffic congestion. One alternative that the MMDA and Department of Transporation and Communications/Land Transportation and Franchising Regulatory Board should consider is that instead of segregating between Metro Manila and provincial buses, they should allow those bus companies to choose their routes. Say from Cavite to Fairview or Pasig-Marikina, and these buses can pick up and unload passengers along EDSA or C5. Make the bus-train commute more convenient and cost-effective, and many people will leave their cars at home. 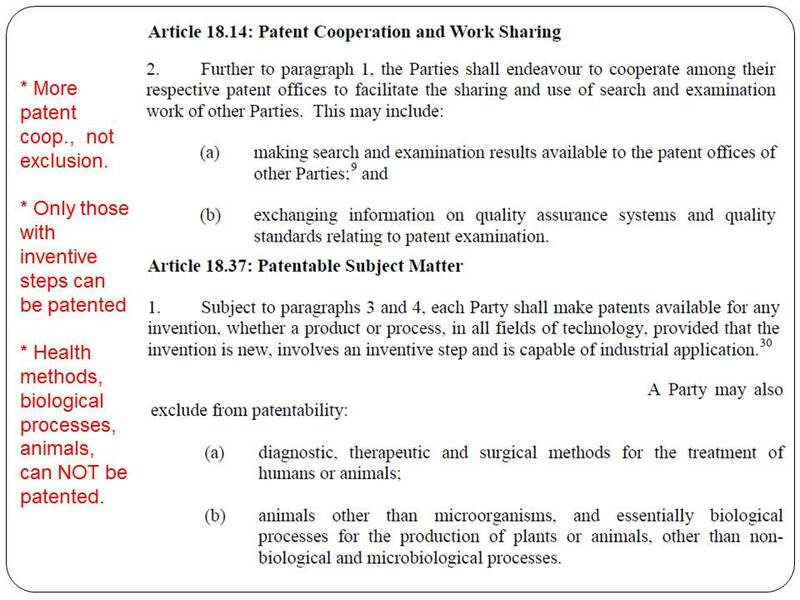 In addition, many jeepneys and tricycles will die a natural death, without creating a new law or Administrative Order or local government unit ordinance. And we shall have less traffic. Government should learn to step back and allow market players to initiate market solutions to the traffic congestion. Government should focus on securing road right-of-way for important infrastructure projects and enforcing property rights. Enforce the rule of law, like the law against bus hold-uppers, terrorists, murderers, and kidnappers. Transporting people and goods to various destinations is not a crime that requires lots of permits, taxes, and expensive franchises. Bienvenido S. Oplas, Jr. is the head of Minimal Government Thinkers, Inc., and a Fellow of the South East Asia Network for Development (SEANET).